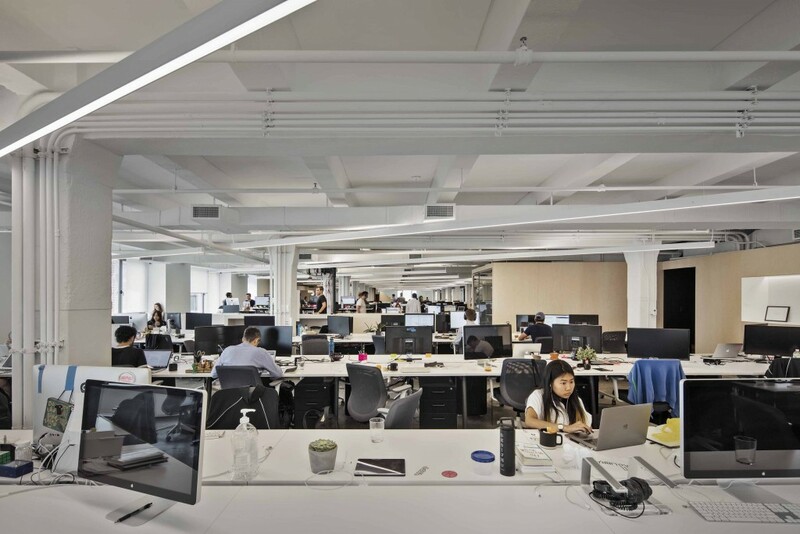 Managed by Q merges two sides of a business that rarely meet: the high tech IT headquarters with the daily grit of office cleaning and management. 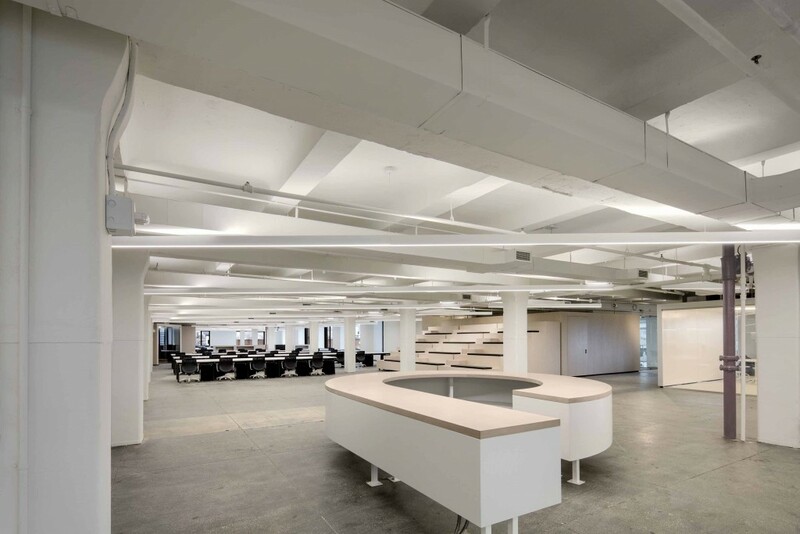 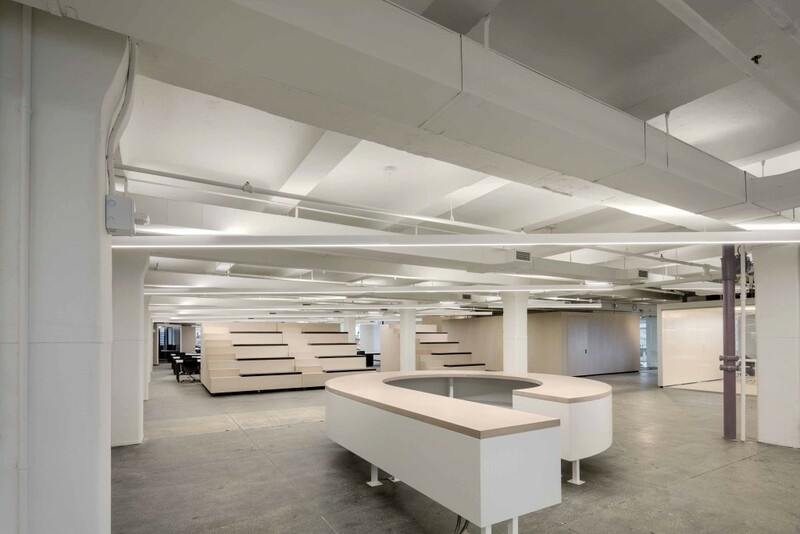 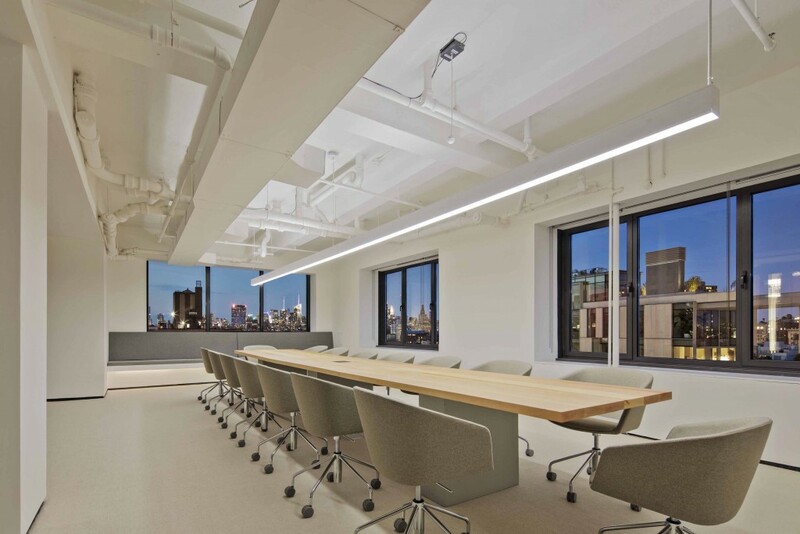 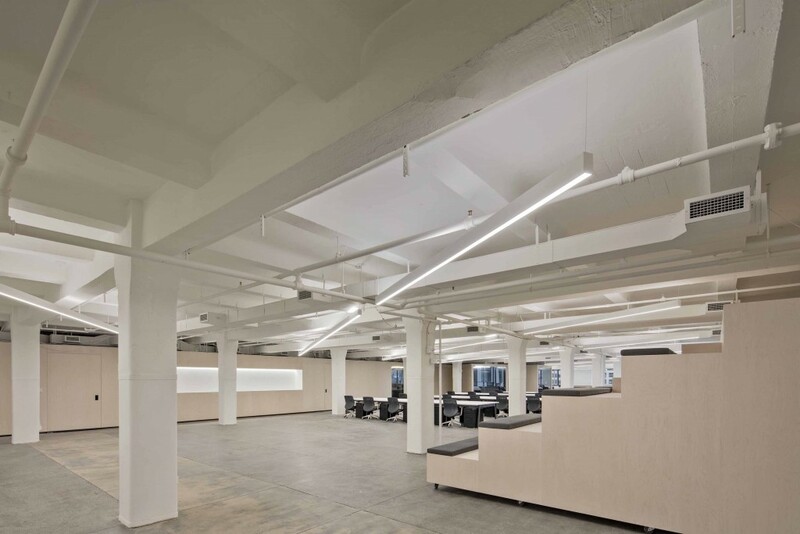 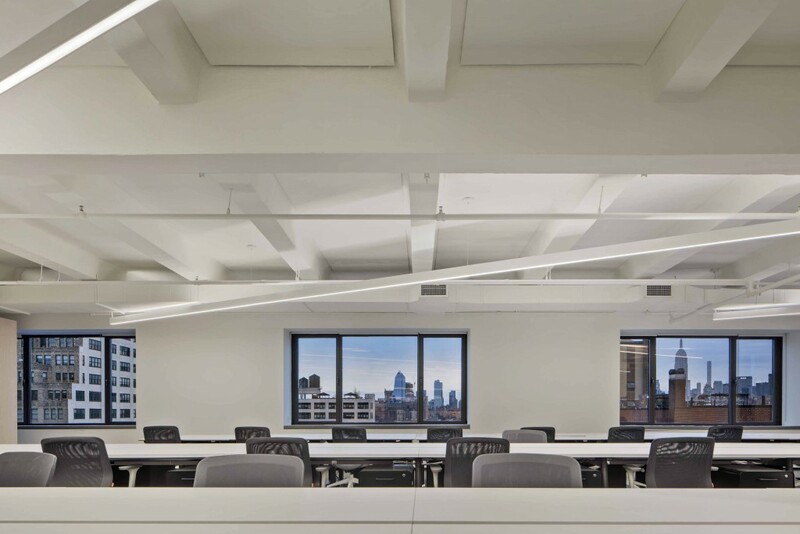 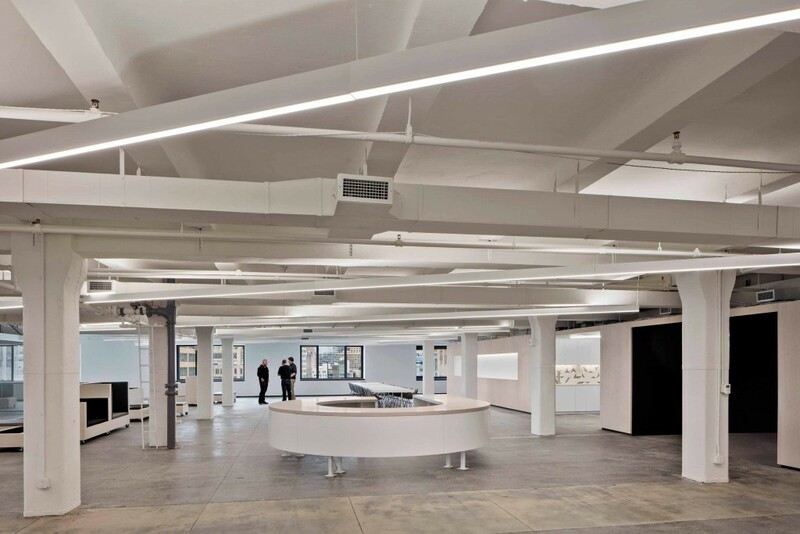 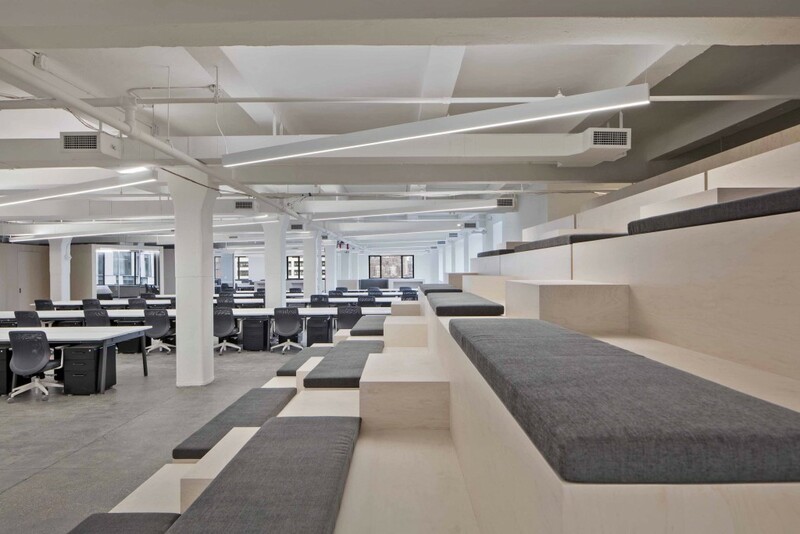 The new Managed By Q HQ office is located in SoHo, New York and is designed to reflect the Q brand directly, emphasizing simultaneously hard work and an inclusive and inviting office environment. 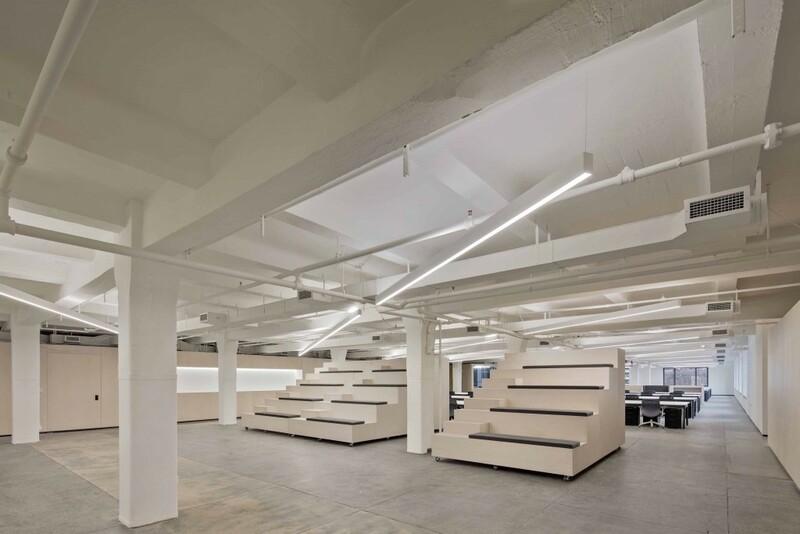 Designed around two main ideas, the flexible office space and the program specific wall, the new MBQ-HQ creates a balance that caters to core of the MBQ brand: an office that has the ability to evolve and change on a daily basis while still maintaining its core design identity. 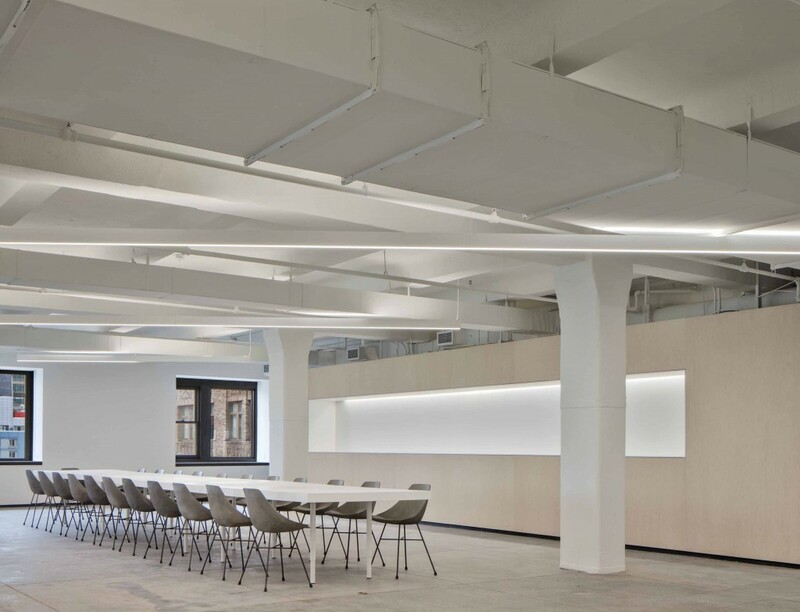 Throughout the main space, natural materials and an array of flexible and operable objects allow for a light and playful interior that can change at any given moment on both larger and smaller scales. 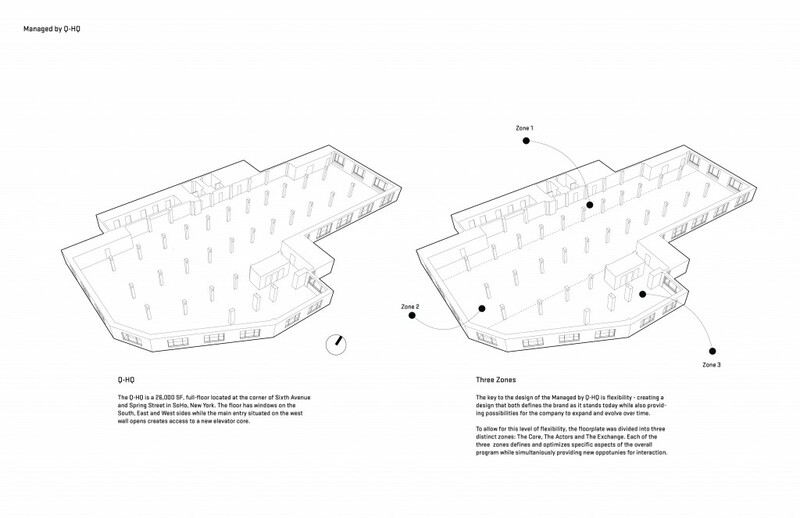 The flexible office space allows for a continuous ebb and flow of activity throughout the day with the only fixed element being the centrally placed Q station, a combined standing meeting and reception desk that act as a fulcrum for the diversity around it. 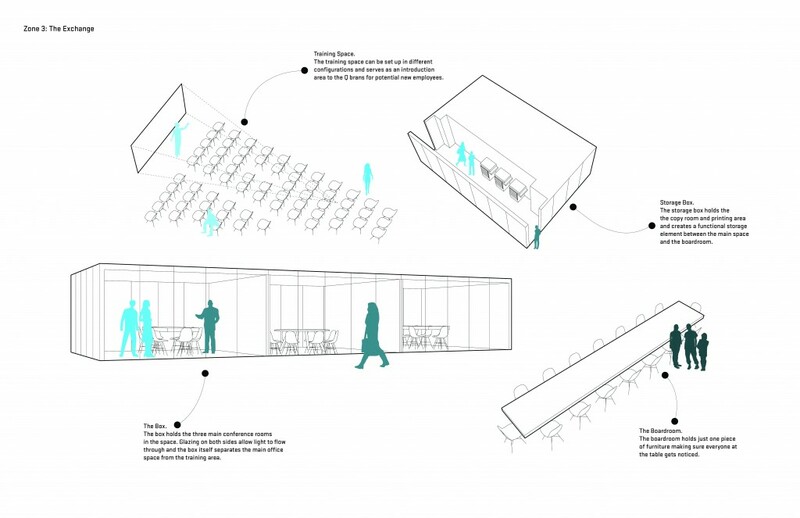 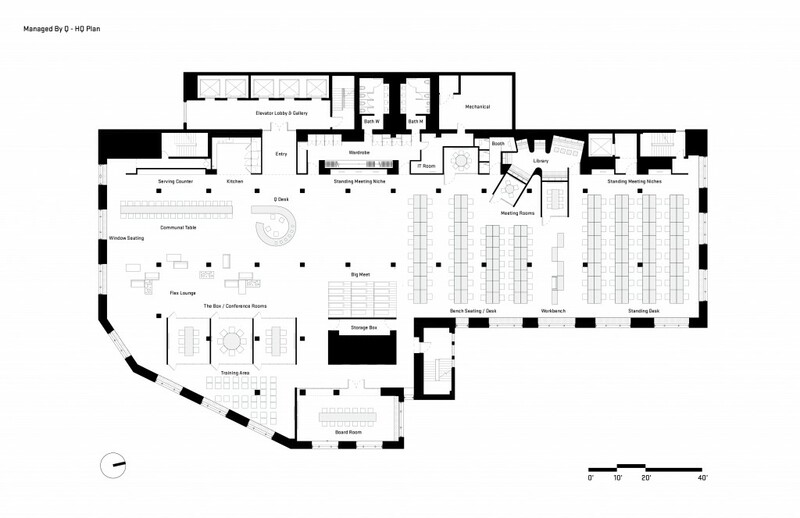 Within the main space, movable full-height raked seating bleachers can be rolled around to physically alter the main space in scale and set up a variety of configurations ranging from smaller scale meeting areas to the monthly all-hands gatherings for hundreds of people. 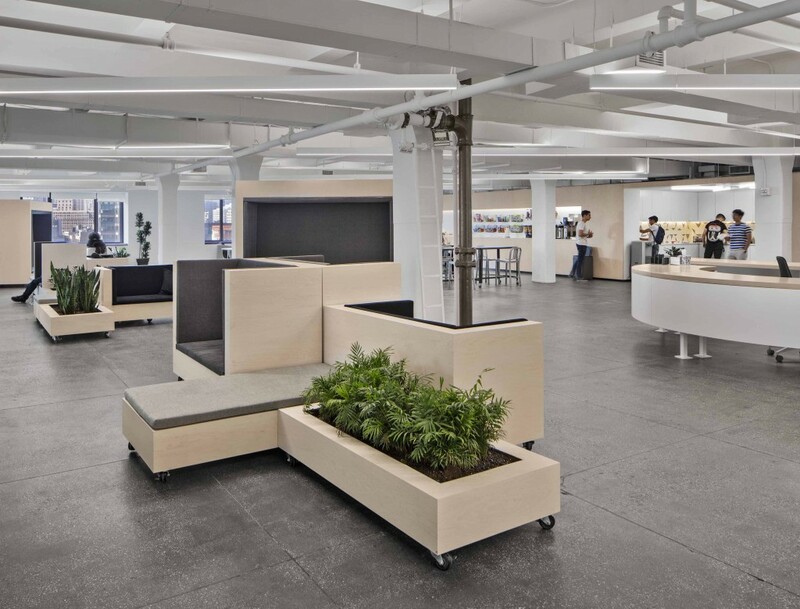 In addition, smaller clusters of movable lounge furniture and planters are designed to create constantly changing configurations and opportunities throughout the day for employees to meet and work in any way imaginable. 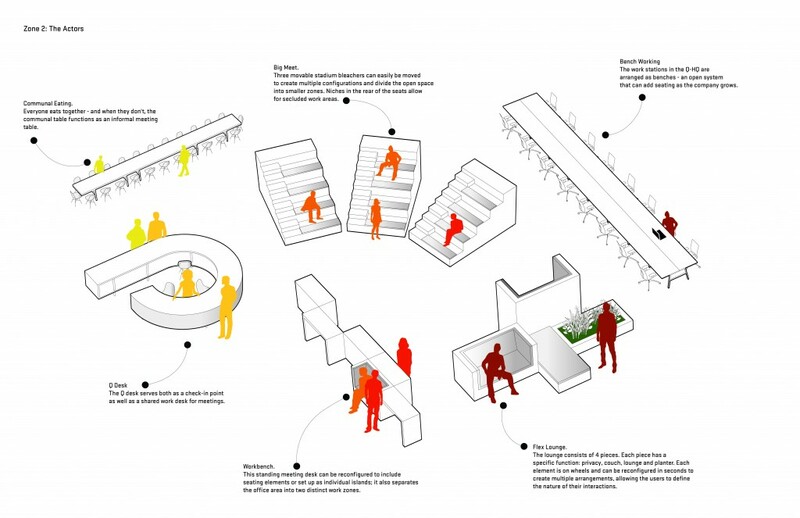 This compliments the existing exterior walls, which have been built out to create cushioned seating areas allowing people to enjoy the dynamic views in all directions. 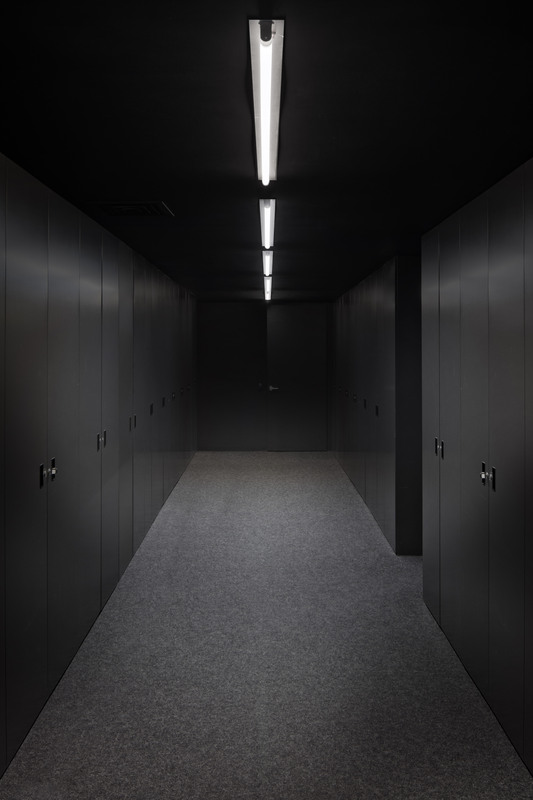 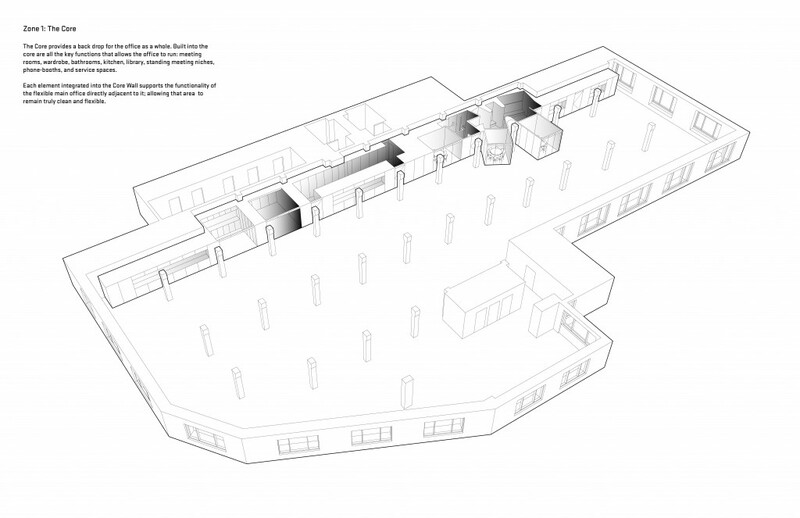 As a backbone to the flexible main space, the fixed, programmed, back wall provides all the key elements needed to run the office efficiently on a daily basis along with a few hidden spaces for the employees to use. 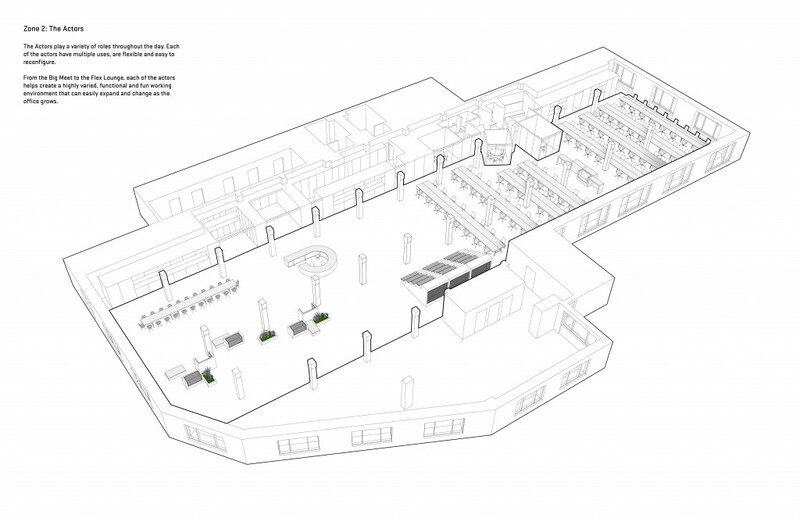 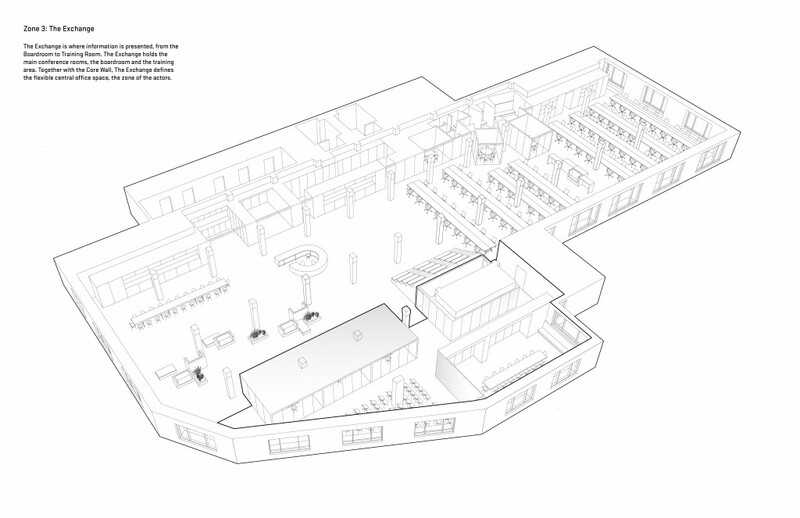 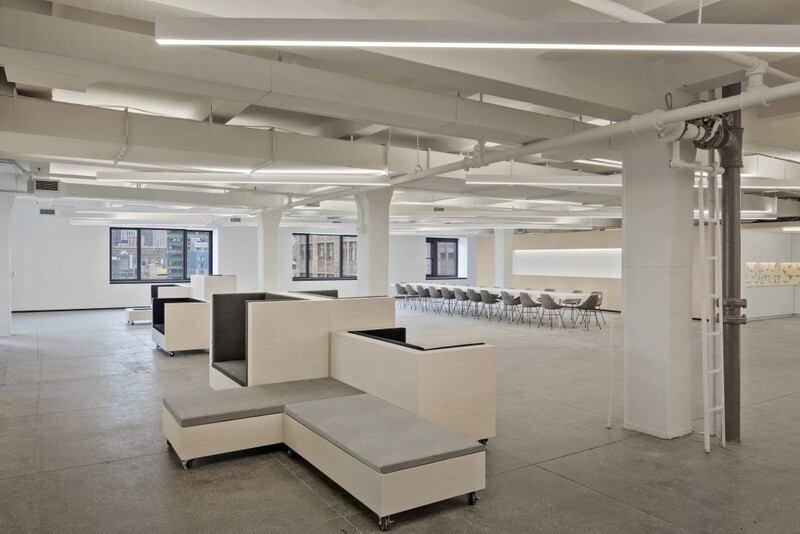 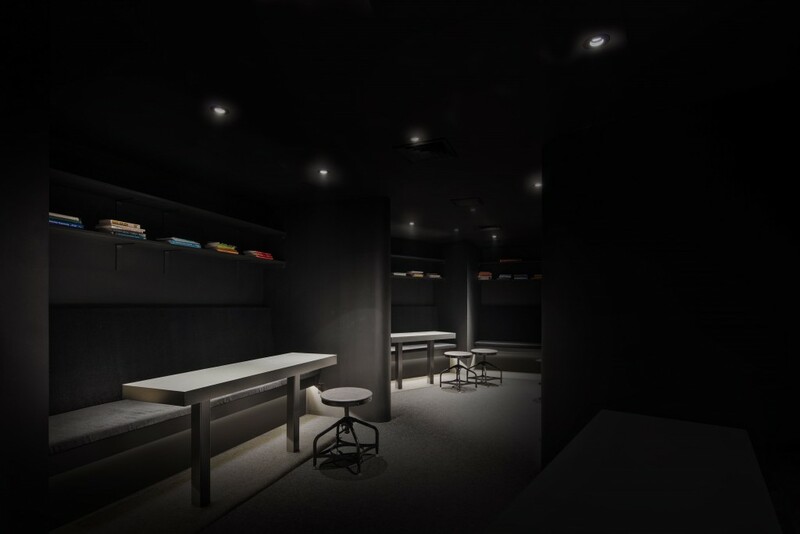 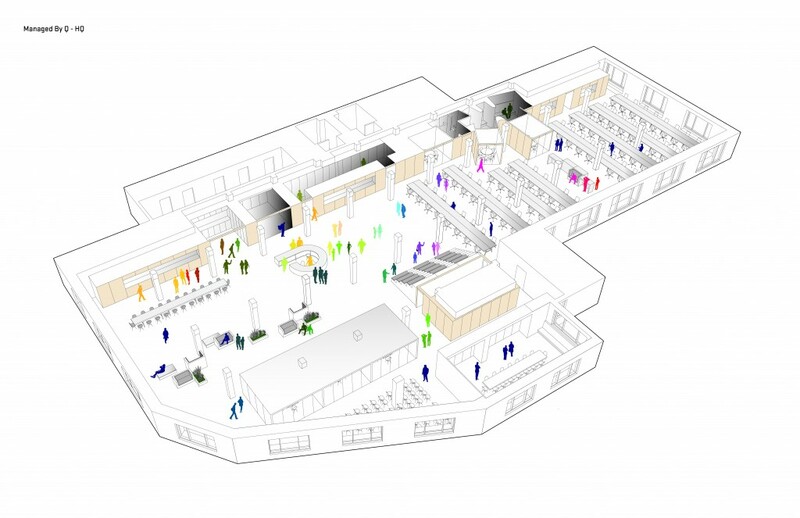 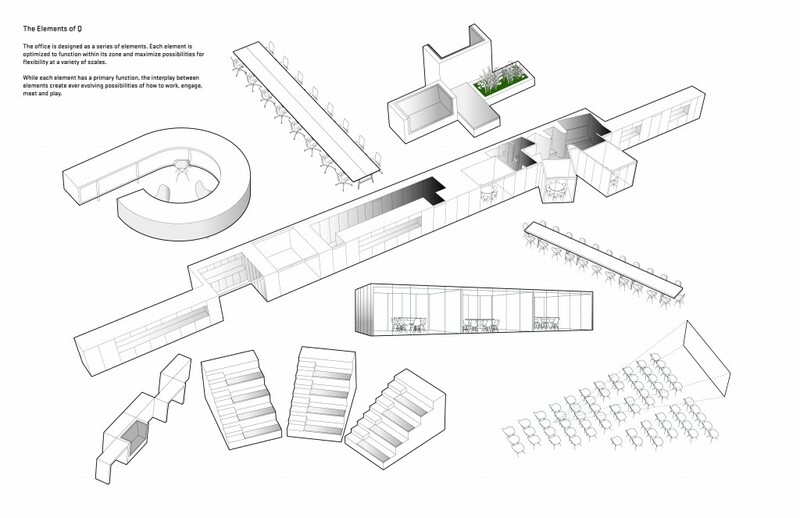 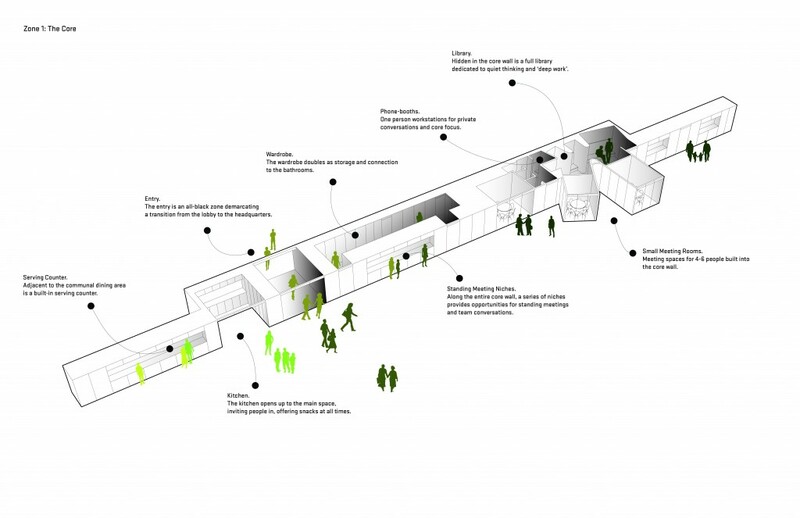 Towards the main space, along the full length of the back wall, a series of corian-clad niches provide room for impromptu standing meetings as well as serving stations for events. 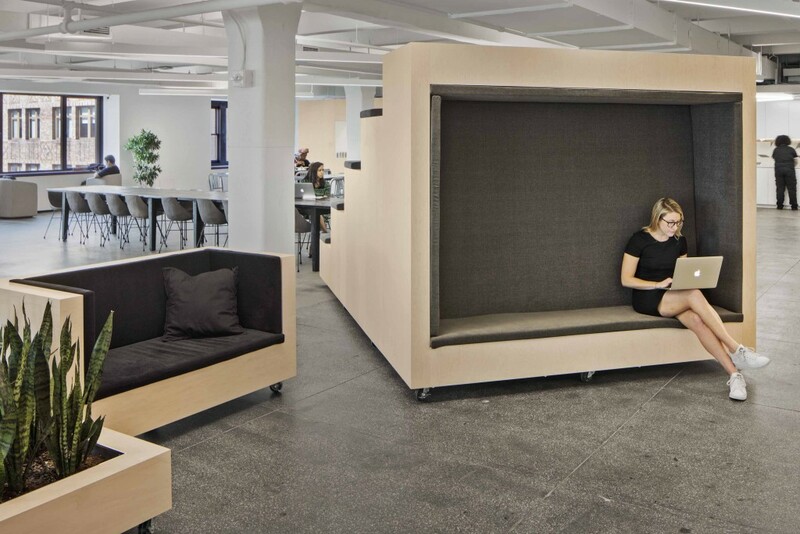 Carved into the wall, hidden away from the hectic activity of the main space is a working library combined with individual phone booths for deep work. 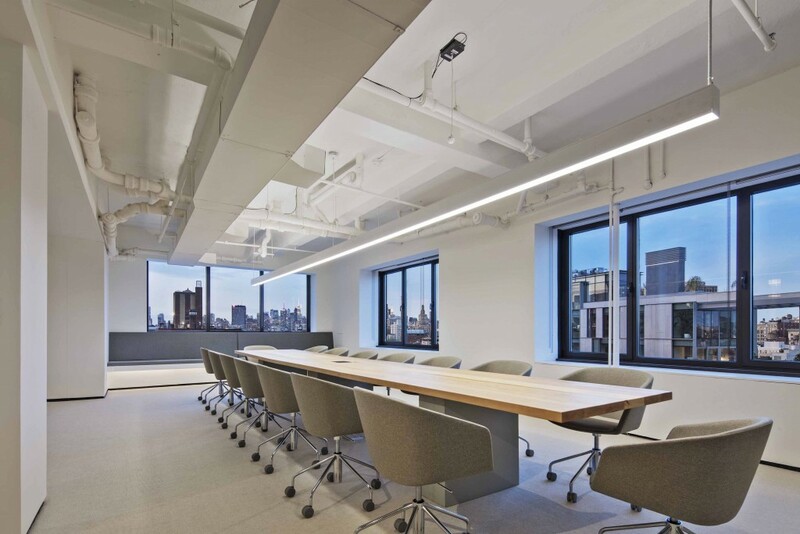 In addition, the wall creates specific niches for the kitchen, wardrobe, bathrooms, IT rooms and smaller staff meeting rooms.